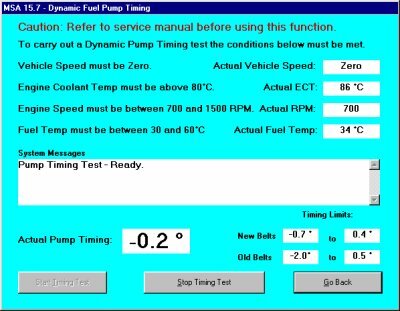 This is the main screen for the software and is where you choose the car model to be tested. Each button shows the model and age range that can be diagnosed by this tool. When the list of codes are displayed the clear codes button is enabled. Of course you'll have to fix the car to stop them coming back!